Oh My! Poor Dorothy was scared of lions and tigers and bears. 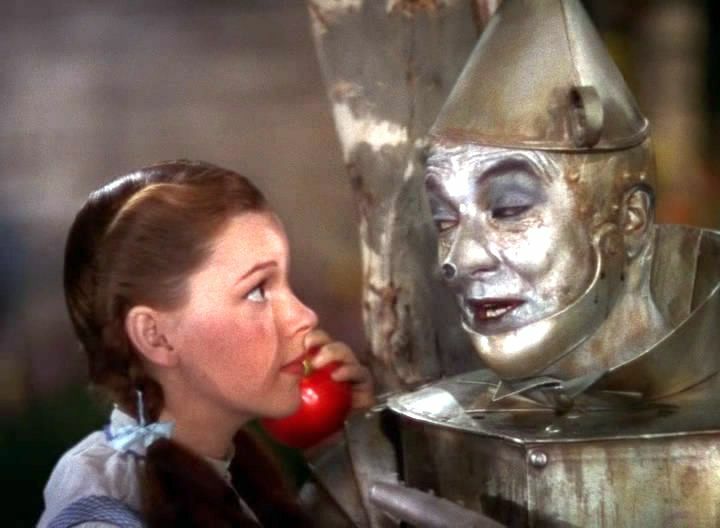 But her team, the Tin Man, the Scarecrow and the Lion were there to protect her. Today, we would say they gave her “Psychological Safety” to take risks. Does your team make you feel safe enough to take risks? If you’ve read the latest business development articles and books, you know the new buzz term, “Psychological Safety.” In a nutshell, as a member or leader of the team, it means you share belief that it is safe to take risks within your team without being rejected. No matter what happens on that yellow brick road, you have each other’s backs. Being rejected from the group was as good as death for early humans. It was nearly impossible to live on our own with all the predators outside of the cave. The fear of rejection was ingrained deep into our subconscious mind and is still alive and well today. Is it any wonder that many fear being rejected at work? For many of us, it’s easier to just stay quiet, leaving only a few who like to share ideas. The fewer shared ideas, the less innovation. every member of the ensemble is responsible for both contributing ideas and supporting the group’s ideas. My first teacher at Second City, Kat Barker, is my Dorothy! She shared the following story with me and inspired me to take the path of Applied Improvisation. Applied Improvisation is when we apply improv tools and principals to work and life. It helps us to become better collaborators, communicators and innovators. Plus, we have fun in the process. She was mortified. She thought, “My first show and I’ve already blown it! I can’t believe what an idiot I am. Everyone is going to be so mad at me!” But what she forgot, in that moment of fear, is that she had an ensemble around her that was listening at a high level and heard her say “moitel.” They were also paying attention to everyone’s non-verbal communication and saw that she froze after she said it. They also could tell that the audience heard it. Since they were listening intentionally, they were paying attention, they had her back, and they were ready to improvise with a scene depicting her terror about her first day at Yiddish Barber School. Imagine working in a team that has your back. A team that tries to make you look good instead of everyone being out for themselves (survival of the fittest). Imagine trying to help create a culture of “Psychological Safety” on your team. What could you do to promote this type of shift? Would you like to enhance trust in your organization? We highly recommend, one of our Applied Improv Workshops that cover a variety of topics. We can choose the topic based on the greatest challenge at your organization today. In the meantime, the best way to start building a culture of Psychological Safety is to POSTPONE JUDGEMENT! Just for a little while. You can bring it back, but let other people’s ideas have some air first. Listen with an open mind. It shows them you care about their ideas. Book Ellen Schnur and Jim Mecir, ImprovTalk, Today or call 847-987-6158!